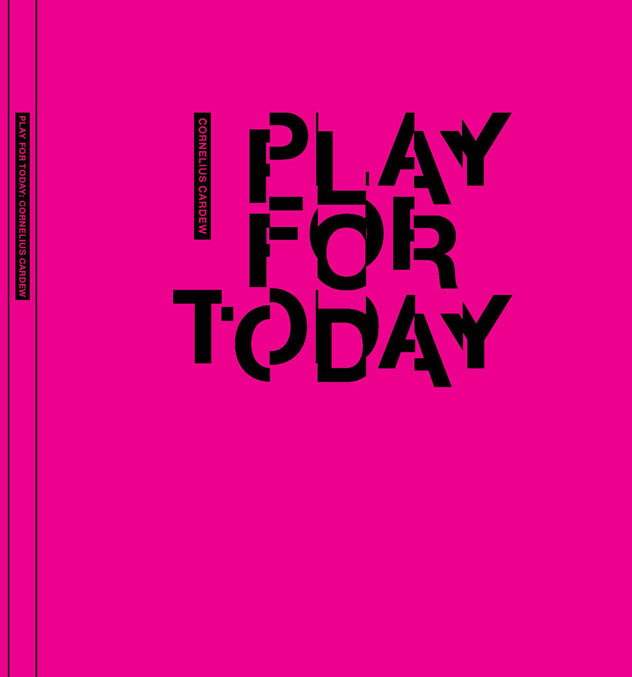 This book was published to coincide with Cornelius Cardew: Play for Today exhibition which took place here at Drawing Room. 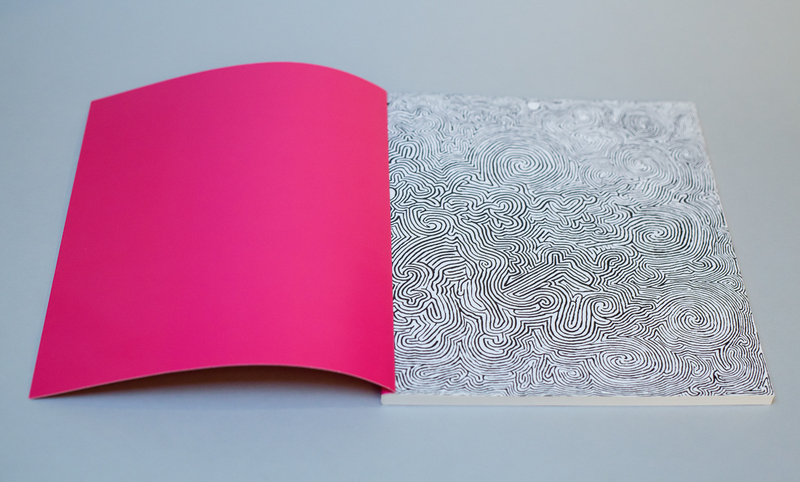 This book was co-published by Drawing Room and MuHKA, Antwerp, in collaboration with Middlesex University. 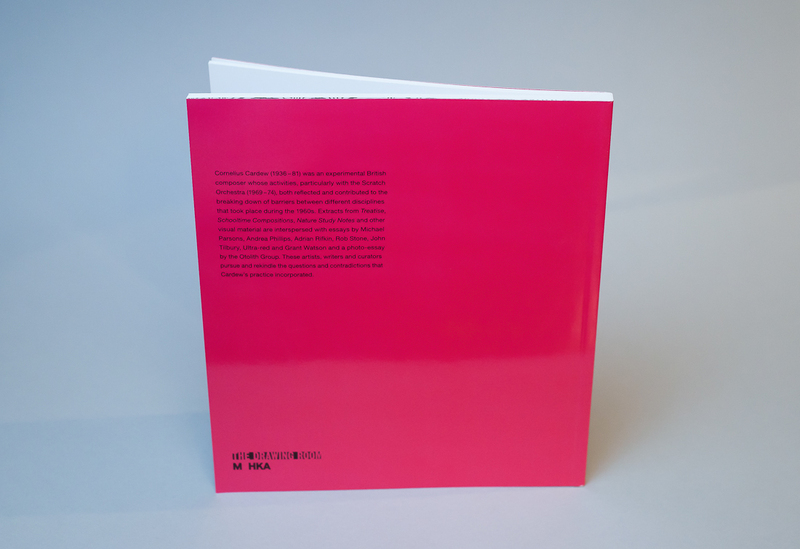 In this 112 page book extracts from ‘Treatise’, ‘Schooltime Compositions’, ‘Nature Study Notes’ and other visual material are interspersed with essays by Michael Parsons (composer, performer and co-founder of the Scratch Orchestra), Andrea Phillips (Director, Curating Architecture, Goldsmiths, University of London), Adrian Rifkin (Professor of Fine Art, Goldsmiths, University of London), Rob Stone (Senior Research Fellow, Visual Culture Research Group, Middlesex University) , John Tilbury (musician and Cardew collaborator and biographer), international artists’ collective Ultra-red and Grant Watson and a photo-essay by the Otolith Group. These artists, writers and curators pursue and rekindle the questions and contradictions that Cardew’s practice incorporated. 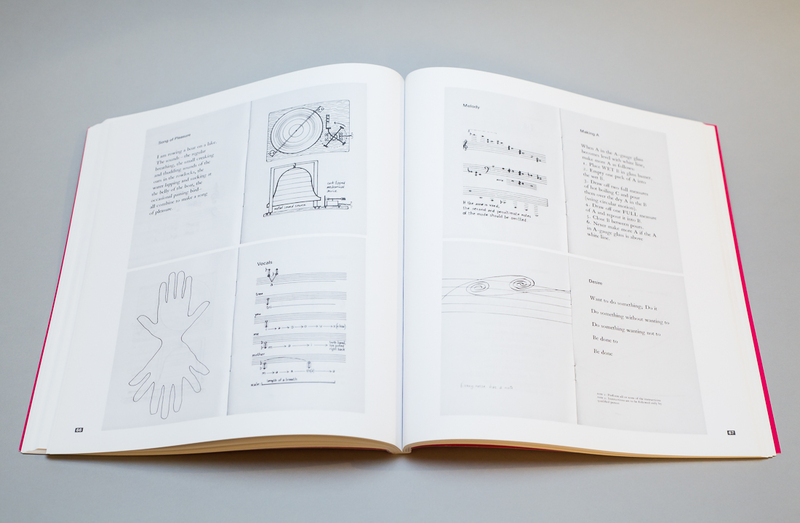 Play for Today: Cornelius Cardew book in collaboration with Middlesex University and M HKA, Antwerp. Cornelius Cardew (b.1936, d.1981) was educated musically as a chorister at Canterbury Cathedral (1943 – 50), and at the Royal Academy of Music (1953 – 7) where he studied Composition (with Howard Ferguson), piano (with Percy Waller) and cello. He received a R.A.M. Scholarship to study electronic music in Cologne (1957 - 8), and worked as assistant to Stockhausen (1958 – 60), collaborating with him in the composition of Carré for four choruses and orchestras. In 1961 he returned to London, took a course in graphic design, and until 1970 worked intermittently as a graphic artist. In 1964 he received an Italian Government bursary to study in Rome with Petrassi. From 1966 - 71 he was a member of the free improvisation group, AMM. He was elected F.R.A.M. (Fellow Royal Academy of Music) in 1966, and in 1967 was appointed Professor of Composition at R.A.M. (Royal Academy of Music). From 1966-67 he was associate at the Centre for Creative and Performing Arts at the State University of New York at Buffalo, USA, working on the graphic score 'Treatise' (1963-7). In 1968 he began teaching an experimental music class at Morley College. His work there with other experimental musicians, and in particular work on a section of ‘The Great Learning’, led to the formation in 1969 of the Scratch Orchestra, a large experimental group. His concern to get to grips with what was really happening in the world, and his work to develop music in opposition to both commercialism and elitism, led him in 1971 to begin to take up Marxist-Leninist ideas. 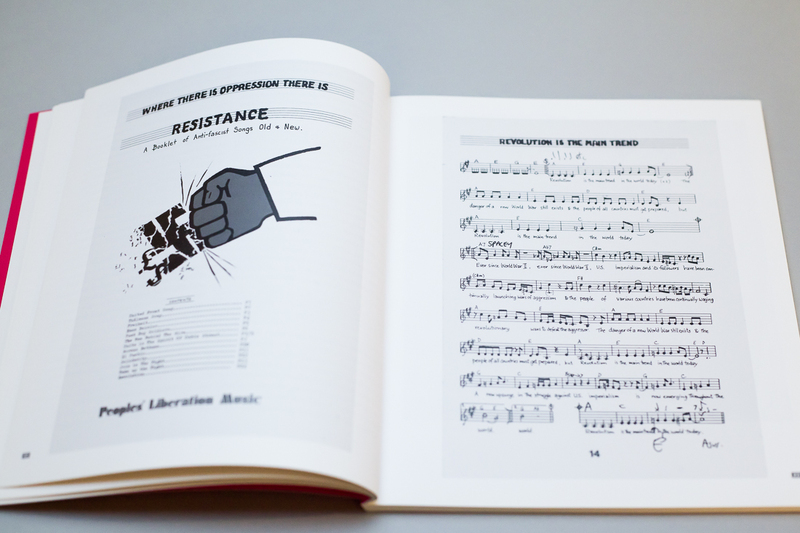 He subjected the negative aspects of his earlier work (including 'The Great Learning'), and that of Stockhausen and Cage, to serious criticism, resulting later in the book 'Stockhausen Serves Imperialism ' (1974). In 1973 he received a grant from the City of West Berlin to live and work there for a year. Returning to London, he was active in the formation of 'People's Liberation Music', a revolutionary rock band, and ran a workshop-class at Goldsmiths College entitled 'Songs for Our Society' (1975-77). He toured and lectured extensively and in 1974 produced the 'Thälmann Sonata', the first in a series of major piano works. In 1975 he played a leading role in uniting democratic artists in the formation of the Progressive Cultural Association. He developed as a revolutionary communist fighter for the people's cause and in 1979 he was a founding member and member of the Central Committee of the Revolutionary Communist Party of Britain (Marxist - Leninist). He participated militantly in the democratic struggles of the people, was imprisoned in 1980 for his part in opposing a National Front Demonstration in Camberwell , and was elected as the General Secretary of the People' s Democratic Front at its founding Conference in 1981. He participated in many festivals of popular culture including a series of concerts for youth across Canada in 1979, the 4th International Anti-Imperialist, Anti-Fascist Youthcamp in 1980 , and the 1st International Sports and Cultural Festival in Vancouver in 1981. In September 1981 he began a Master's Degree in Musical Analysis at King's College, London . On 13th December 1981 he was killed, near to his home in Leyton, East London, by a hit and run driver.